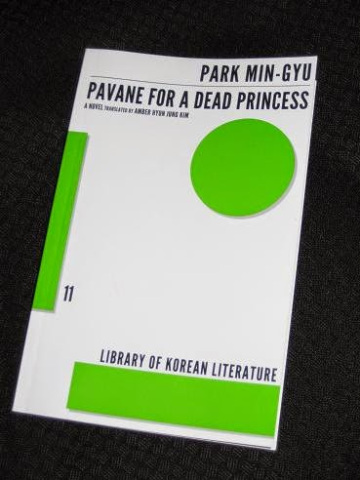 This is another from the Dalkey Archive Library of Korean Literature series, and it’s definitely one of the better choices. Park’s bitter-sweet romance between a good-looking young man and a slightly less attractive young woman is a critique of a society obsessed with looks and success, and it all comes in an excellent translation and a style that borrows more than a little from Haruki Murakami. The love story unfolds gently as the woman allows herself to believe that she’s not being led on, only for the writer to surprise us at the end of the book. Ch’oe is another writer who focuses primarily on the short form, and there are several of her stories scattered throughout various collections (e.g. ‘The Gray Snowman’ in Modern Korean Fiction, ‘The Last of Hanak’o’ in Wayfarer, and in the ASIA Publishers series). However, she has written longer books too, and Mannequin, another recent release in the Dalkey series, is one I’m keen to try sooner rather than later. So, what do you do to follow up a novel like The Vegetarian? You just release an even better book, of course. Human Acts (tr. Deborah Smith) was one of my favourite books last year, and would have been more prominent in my end-of-year awards were it not for the fact that I posted on it in the same month as my actual book of the year. 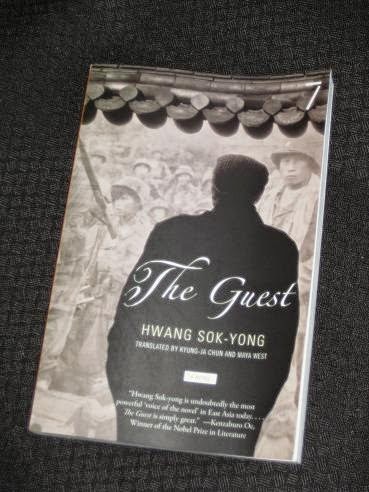 Yet another work arising from the Gwangju Uprising (I think that’s the third mention just in this post…), the novel begins with the slaughter and follows the ripples through time as the survivors struggle to get on with their lives over the ensuing decades. I’m still not convinced that Human Acts has got the attention it deserves, being slightly overshadowed by the success of The Vegetarian, but for me it’s a far more complete work. That’s right – The Vegetarian has had to be content with second place in this countdown, as my prime pick of all the Korean literature I’ve read, at least in terms of accessibility, is a book about a young man walking around with a big, shaggy dog. 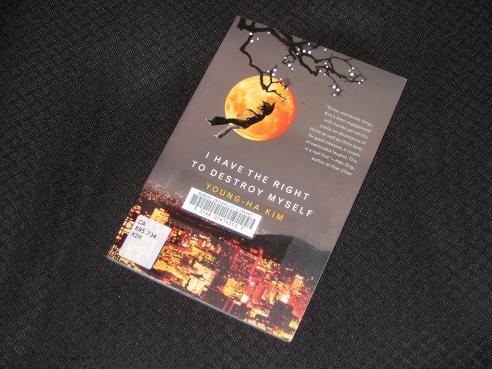 Buried amongst the rather mixed bag of offerings in the Library of Korean Literature, No One Writes Back has pretty much sunk without a trace, and that’s a shame because it’s a wonderful read, heart-warming and funny, and a book that many readers would enjoy if they knew it existed. Jang effortlessly rolls out a story where the main character simply can’t keep still, but the writer times the release of information to perfection, gradually letting slip the young man’s secrets and showing him that he’s not as alone as he thinks he is. Jung’s translation helps make the book a success, and if you think I’m alone in my championing of the novel, think again. Charles Montgomery, one of the more prominent reviewers of Korean literature in English, is a big fan, as is Philip Gowman of London Korean Links. And if you want an even heavier hitter, Michael Orthofer of The Complete Review gave this an A-. It’s not the most genre-shattering of books, but seriously – this is worth a read. That’s setting the bar rather high on suggestions but the one book I would have included is Everlasting Empire by Yi In-Hwa – repacked and properly promoted I suspect this Umberto Eco-ish novel could make a real breakthrough. There are some others which would be in my K-Lit top 10 (e.g. Haïlji’s The Republic of Užupis and The Reverse Side of Life by Lee Seung-U), but I suspect some may appear tomorrow, as they tend to be at the less accessible end. Of those on your list – have to say I’m not as enamoured as you of No One Writes Back. The ending of the book, some rather obvious twists/revelations plus a rather overly sentimental sense of closure, rather detracted from the rest of the book for me, although the first 75% or so was indeed a very enjoyable shaggy dog story. And yes Who Ate up all the Shinga? is definitely worth reading. I will retire defeated now Lezard has weighed in on your side! And as I recall the TLS review suggested that the sentimental ending could be seen as self-satire. The London Korean List also made it Book of the Year 2013. Perhaps one for me to revisit. 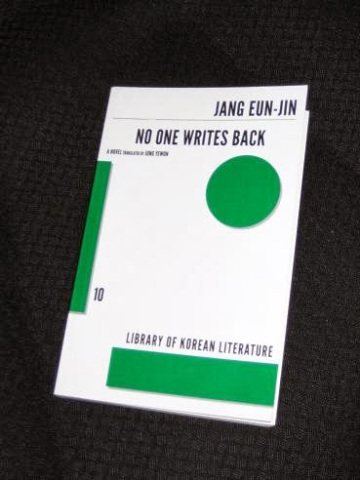 The translator of No One Writes Back, Jung Yewon, is one my favourites as well. She also did Vaseline Buddha , One Hundred Shadows, parts of A Most Ambiguous Sunday & Other Stories and also the newly released Mannequin. Paul – Yes, I hadn’t actually realised that she was the translator of this one until I checked. I’ve read all of those except ‘Mannequin’ (which I should be getting to in the near future), and they’re all excellent. It’s been interesting comparing Jung Young Moon’s ‘A Contrived World’ with the ones she translated as I suspect that while it reads very well, it does seem a little more simple in terms of sentence structure. Interesting indeed. Wish my Korean was good enough to tell if this was a feature of the original or a function of the translators. I’m a bit less sympathetic because I read Korean literature in two waves. 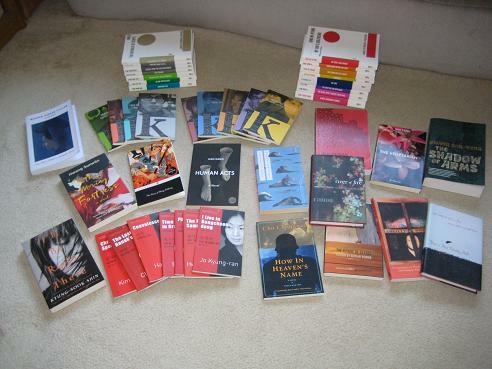 When I first went to the country (early 2000s) I bought lots of the books that were available then in English, and my experience was such that I, to my shame, had rather written off Korean literature, particularly novels, presuming that the cream was only to be found in poetry and, to a lesser extent, individual short stories. It wasn’t really until the new wave of translations came along that I realised quite how strong the culture was, particularly modern novels and contemporary writers. One can then go back and see the gems from the past – but that was a lot of dross to filter through to find them at the time. 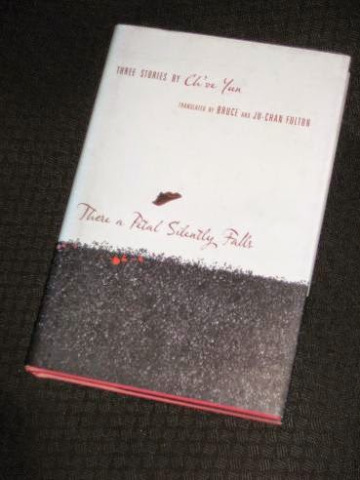 Actually one could compare Jung Yewon’s translation of part of A Contrived World with the published version, as she translated an excerpt a few years ago. Reading Mannequin now and there does seem to be a definite Jung Yewon style to the translation. It’s a good place for me to start, as I am such a novice when it comes to Korean fiction. Thank you for that, Tony! You were right, a lot if appealing titles but also a few I’ve already got. 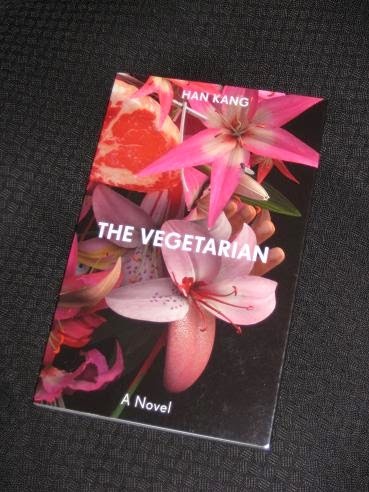 The Vegetarian and, after one of your posts, I got three of Kim Young-ha’s novels in German translation. The first goes on the wish list.No 5 sounds good too. Caroline – I hope you like them! I wouldn’t be surprised if he was more to your taste than mine (and, of course, you have more choice in German…).